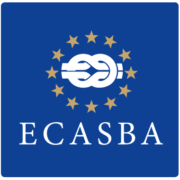 The European Association of Ship Brokers and Agents (ECASBA) has chosen the city of Barcelona to celebrate its annual seminar this year. In this way, the entity shows its support to the newly created Spanish Association of Consignment Agents (ASECOB), which already brings together a number of companies that carry out the activities of shipping agents and maritime agencies at a national level as well as the associations of consignees of the different ports of Spain. A representative from the new association of Spanish consignee agents explained that this seminar is held annually in a community country, in alternation with Brussels. This year it will take place on June 4 and 5 in Barcelona. The first day will be held at the headquarters of the Escola Europea-Intermodal Transport. The first topic of the seminar’s agenda is the presentation of the SAILNET Programme, an exchange programme designed and powered by FONASBA in collaboration with the Escola Europea. The project aims to establish a network between education and training institutes in the maritime sector dealing with ports, shipping lines and logistics operators in order to strengthen skills across the seas. The project aims to reach its objectives using a study-internship alternation approach and better align them with the needs of the Blue Economy. On Tuesday, June 5, the seminar will be held at the International Logistics Exhibition (SIL) in Barcelona. You can consult the full programme here. “With a very high participation rate, the registration of professionals from Bulgaria, Croatia, Cyprus, Denmark, Finland, France, Germany, the United Kingdom, Italy, Holland, Portugal, Slovenia, Sweden and Spain, as well as the International Association (FONASBA) has already been confirmed”, added the representative from ASECOB. The conference will include round tables on current issues, with a special focus on digital transformation. The presentations will be given by outstanding representatives of the Spanish and community administration, industry associations and leading companies in the sector.